I almost turn around and drive back home. The dark clouds make me hesitate, because I know we can’t have a flying lesson in bad weather. I failed to call and forgot my cell phone. But when I get to the airport, Glenn, the instructor, says not to worry. The clouds are at 11,000 feet and we will fly at about 4,500 feet. Just my luck. Now, for the first time, I am allowed to touch the coveted throttle. Like a gas pedal, except it’s a little handle you push in and out to give the engine gas. An important part of the plane, I learn. Keep having to think whether “in” is go or “out” is go, but seems I’m still confused whether left is right or right is left. I guess it comes naturally for some folk. The morning weather is beautiful. Not hot or sunny. We make it to our usual training grounds, do a couple of circles, and proceed to the next step. Stalls. A scary word any way you look at it. No way do I want to manage a plane that has lost its power to fly. As demonstrated to me, if Glenn turns on the carburetor heat control (whatever that is) reduces the throttle and pulls back hard on the yoke bringing the nose a little above the horizon, the engine will slow down to where the air can’t lift the plane any more. Whatever happens, a beep goes off and I jump. The nose dives. Glenn revs the gas and brings the nose back to normal level. Now he wants me to try the roller coaster ride. I never liked roller coasters. They make me sick, so I tell him I want to watch again. The third time, I agree to hold the yoke, if he will work the throttle. He does so, and we plunge at least 400 feet instead of his 100 feet. Good thing we are high in the sky. By the fifth time, I learn how to stall, but it seems that recovering from a stall is the vital part. I forgot to push in the throttle. Duh. We quit stalls. Maybe I’ll do better next lesson. 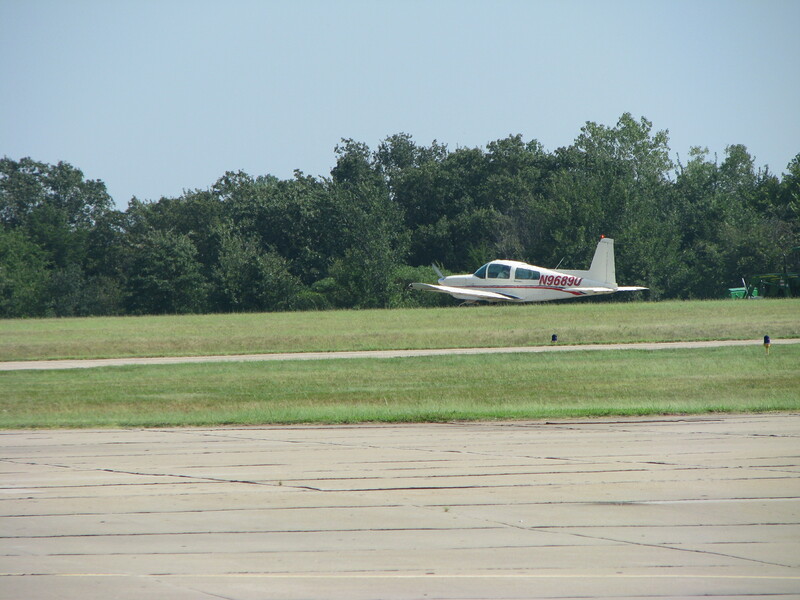 We land, and Glenn explains that learning to recover from a stall is helpful when learning to land. Not that we ever want to stall, he reminds me. So I pay my dues and Glenn compliments me on my calm demeanor during stalls. At least this time, I kept my panicking heart from showing fear on my face. Either that, or he’s trying to boost my courage for another lesson. I finally drive home to find something for my roller-coaster-like queasy stomach.